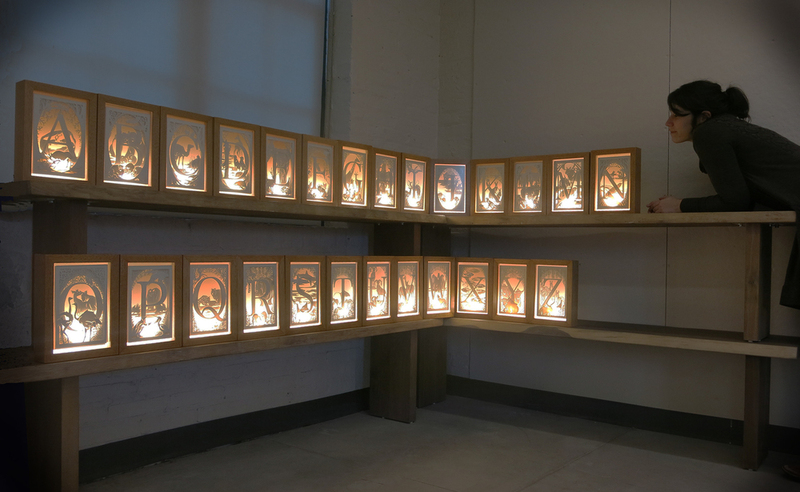 ANIMALIA is a paper cut installation of 26 light boxes. One for each alphabet letter. Each box is made out three or four layers of cotton paper handcut to create small landscapes where various animal species coexist. Close Up of each letter with light on and off.